Donald Trump: Beto O'Rourke "is a flake"
In a series of tweets following Tuesday night's debate between U.S. Sen. Ted Cruz, R-Texas, and U.S. Rep. Beto O'Rourke, D-El Paso, President Donald Trump said O'Rourke would "blow it all" if elected. President Donald Trump attacked U.S. Rep. Beto O'Rourke, D-El Paso, early Wednesday morning in a series of tweets that said O'Rourke "would blow it all" if he defeats U.S. Sen. Ted Cruz, R-Texas, in the November election. Trump, who said he watched Tuesday night's Senate debate in San Antonio, called O'Rourke a "flake." "Watched the debate last night & Beto O’Rourke, who wants higher taxes and far more regulations, is not in the same league with Ted Cruz & what the great people of Texas stand for & want," the president tweeted. In a subsequent tweet, Trump went on to praise Cruz and repeat his endorsement for him. The president is coming to Houston on Monday to hold a rally for Cruz at NRG Arena. Tuesday night's second — and likely last — debate between O'Rourke and Cruz included a series of harsh attacks. 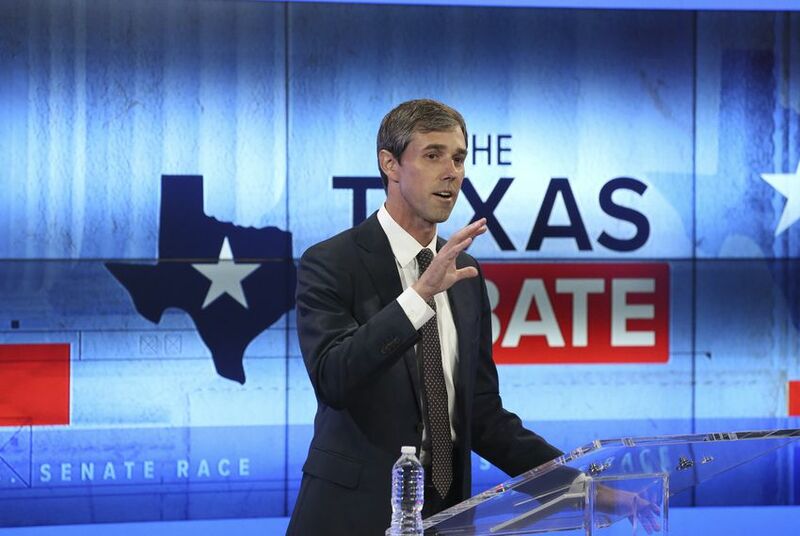 At one point, O'Rourke reminded the audience of Trump's own attacks against Cruz during the 2016 presidential primary. "He’s dishonest," O'Rourke said of Cruz. "That’s why the president called him Lyin’ Ted, and it’s why the nickname stuck, because it’s true." Cruz fired back: "It's clear Congressman O’Rourke’s pollsters have told him to come out on the attack, so if he wants to insult me and call me a liar, that’s fine." Speaking with reporters later Wednesday morning in San Antonio, Cruz gave a nod of approval to Trump's debate commentary. "I appreciated the president’s tweets this morning," Cruz said. "I think President Trump is right, that last night’s debate presented a stark contrast." Beto O'Rourke on possible endorsement from Obama: "I don't think we're interested."